Femme Fatale Records: FEMME FATALE RECORDS' MASCOT FINDS LOVE ON THE INTERNET! FEMME FATALE RECORDS' MASCOT FINDS LOVE ON THE INTERNET! FEMME FATALE RECORDS ROCK! 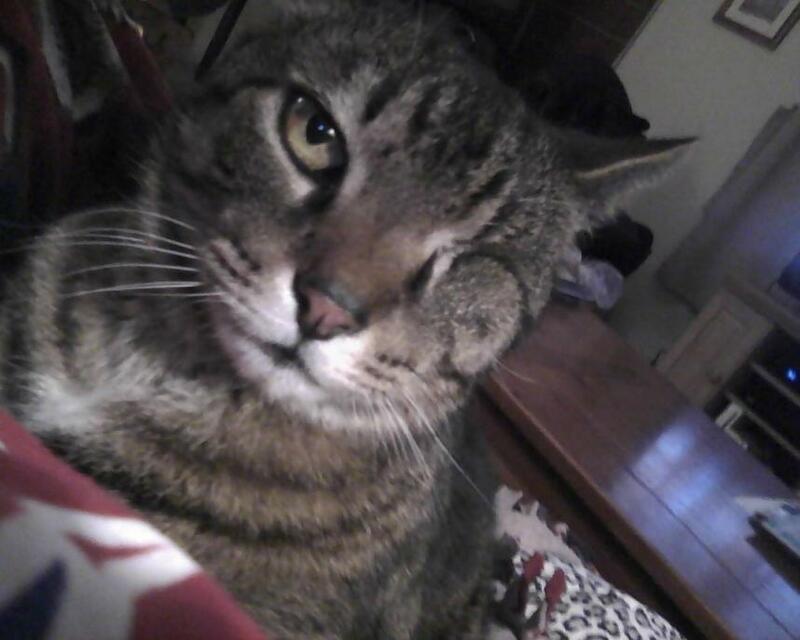 I love THE FEMME FATALE RECORDS website, with all THE ONE EYED CAT’S fan pictures. I can’t wait to see the FEMME FATALE RECORDS' calendar. I especially like your picture as the FEMME FATALE RECORDS' mascot. YOU ARE SOO CUTE! Thanks Mallory! The folks here at Femme Fatale Records have been really good to me! I enjoy waking them up at 5:00AM each day, though sometimes I let them sleep in until 5:05AM before getting them up to plan out more gigs for the band! FEMME FATALE RECORDS HAS GOT MAIL! UPDATE FROM FEMME FATALE RECORDS!